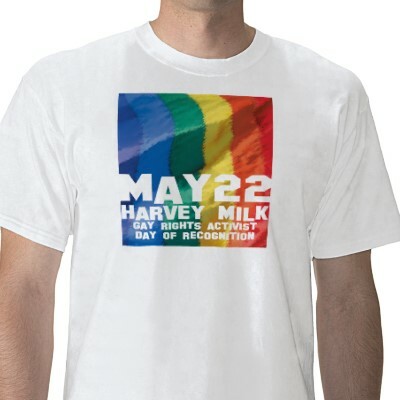 In 2010, the State of California officially set aside May 22, the anniversary of Harvey’s birth, to be an annual celebration of his memory, the story of the struggle for LGBTQ rights, and of the continuing effort to make this a better world. His work in education (successfully opposing the infamous Briggs Initiative, also known in California as Prop 6), and in youth empowerment is now being championed by the Harvey B. 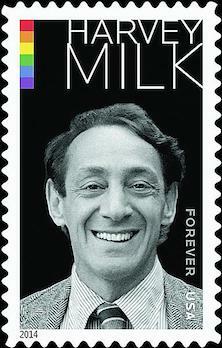 Milk Foundation, founded by Harvey’s nephew Stuart Milk and his friend Anne Kronenberg. To learn more about Harvey’s life, times, assassination and witness for justice, see the Academy Award winning films The Times of Harvey Milk (1984) and Milk (2009). In book form, the definitive work is still Randy Shilts’s The Mayor of Castro Street: The Life and Times of Harvey Milk (St. Martins Griffin, 2008). The Unfinished Lives Project Team joins grateful Americans from every walk of life in the celebration of Harvey Milk, hate crimes murder victim, gay rights pioneer, and friend of all marginalized people. Though he died, yet he lives in our hearts and minds, and in the living shrine of liberty made up of the lived experiences of increasing millions of out and proud LGBTQ people. Happy Birthday, Harvey! 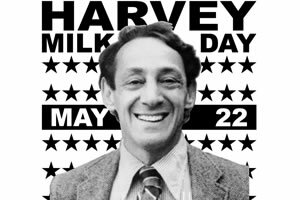 San Franciso, CA – May 22 marks the first official Harvey Milk Day by action of the State of California. 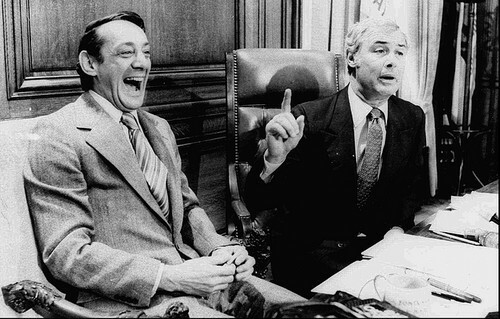 Milk, the first openly gay or lesbian office holder in American history, was elected to the San Francisco Board of Supervisors in 1977. Because of his advocacy for LGBT rights, especially the citizens of his district, Harvey was affectionately known as the “mayor of Castro Street.” In 1978, he was gunned down a few minutes after Mayor George Moscone faced the same fate at the hands of disgruntled former city supervisor, Dan White. The story is compellingly told by the Academy Award winning film, “Milk,” whose screen writer, Justin Lance Black and whose leading actor, Sean Penn, both received Oscars. In 2009, he was posthumously awarded the Presidential Medal of Honor. Milk’s legacy is immense, and it is only fitting that he is immortalized by this rare distinction in the Golden State. Only John Muir has been so honored in California before Harvey. Milk is the only gay person whose memory is enshrined in a day of festivities, education, activism, and remembrance statewide. Notable among his words was the famous line he used so often to open his speeches, “I’m Harvey Milk, and I’m here to recruit you!” Today, as California and and the nation at large struggle with the full inclusion and equality of LGBT people, racial ethnic minorities, women, and immigrants, nothing could be more pertinent than to recall Harvey’s life, and the qualities of passion and advocacy that continue to inspire and convert us to the cause of justice for all people. First, Harvey Milk was not a quitter. He ran unsuccessfully for public office multiple times, but refused to quit. The race for the finish line of justice is long, a relay, not a sprint, and he stayed the course until the voters caught up to him and to his vision of equality. Second, He refused to remain protected by the dubious security of the closet. Openly and publicly, Harvey owned his identity and culture as a gay man before the world. He called upon gays and lesbians everywhere to come out to everyone they knew, family, friends, co-workers, fellow students. 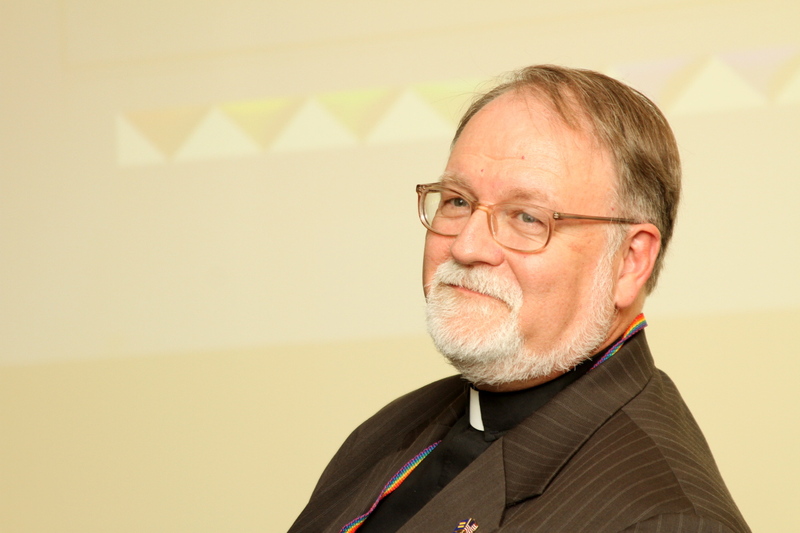 He knew that when LGBT people are known as the real human beings we are, it is harder to discriminate against us than if we are mysteriously hidden by fear. Third, he demanded respect and full equality. Harvey knew that inequality for some of us–gay people, seniors, women, Asians, teamsters, youth–meant inequality for all of us. In his name, we should never support candidates or policies that compromise on equality for all. Rights are for all Americans alike–full rights, equal rights. Fourth, Harvey Milk understood that political and social justice is all about hope. “You gotta give ’em hope,” was Harvey’s most memorable mantra, and it remains true for today. Hope for justice is not about optimism. Optimism is shallow and may be easily frustrated by the unfairness of systems and circumstances. Hope, on the other hand, is realistic and muscular. Hopeful people are anything but passive. They are engaged, as Harvey was, in the effort to make the world a better place, for hope’s sake. Saturday, May 22 marks what would have been Harvey Milk’s 80th birthday. He died an untimely, violent death. But his life and legacy have paved the way for a better America, a more hopeful present, and full equality just over the horizon. That is why in cities and towns all across the United States, Harvey’s hope is rippling out, expressed in events, festivals, teach-ins and social justice rallies to remember the Mayor of Castro Street. Happy Birthday, Harvey! Happy Harvey Milk Day to us all!